Abigail Powers' father was a Baptist preacher, who died when she was an infant. Her mother raised their daughter alone, working as a school teacher in the wild frontiers of New York's Finger Lakes region. Upon graduating from high school at 16, young Abigail was hired to replace the school's teacher, where she fell in love with one of her students, Millard Fillmore. He was two years younger than she, and due to their poverty she continued to work as a teacher after their marriage. She encouraged him to attend law school, and became an accomplished hostess as he rose to become a Congressman, then state comptroller. He became Vice President in 1849, and assumed the American Presidency when Zachary Taylor died in 1850. She preferred reading to almost any other activity, and upon moving into the White House she was startled to find that there were next to no books in the building -- not even a dictionary or a Bible. Previous Presidential families had brought their own books, but taken those books with them when they left. She petitioned Congress for funding to establish a permanent White House Library, and is sometimes credited as the first White House librarian. At heart, though, she was always a teacher -- in correspondence with their children, she repeatedly corrected their spelling and grammar. She enjoyed deep, philosophical conversations, which she described as "mental treats". Somewhat outspoken politically for a woman of her era, she believed women should be granted equal rights, and her urging is credited with helping to end the practice of flogging in the US Navy. She advised her husband not to sign the Fugitive Slave Law (which required that runaway slaves be returned to their owners, even across state lines), warning that if he signed it he would never be re-elected. He did sign the bill into law, and was not even nominated for re-election by his own party. In 1853, she accompanied her husband to the inauguration of the next President, Franklin Pierce, enduring his speech amidst wind-whipped snow. She contracted bronchial pneumonia, and died a few weeks later. 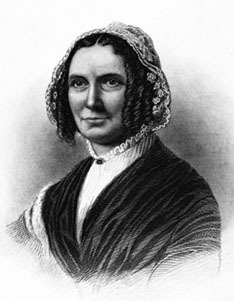 The Fillmore family line ended with Millard and Abigail Fillmore's two children. Their daughter died of cholera when she was only 22 and unmarried. Their son, Millard Powers Fillmore, was a lifelong bachelor and a good friend of Grover Cleveland, who described him as "odd in many ways...". Per his will, all of the younger Millard Fillmore's papers and correspondence were destroyed after his death, fueling speculation that he might have been homosexual.